To edit, I now must click "reload the page." This means editing now takes 2 clicks and if editing on mobile, the 2nd click forces me out of the mobile view into the desktop site. I wonder if https://phabricator.wikimedia.org/T197726 could be somehow also related (non-main namespace; mobile). Probably not. • Jdlrobson added projects: Mobile, MobileFrontend. Per T172948 the editor for templates should always be the fallback editor so I'm not sure what's going on here. What's weird, is that if I have JS disabled or a grade C browser, this workflow although not ideal (takes 2 http requests rather than 1) does redirect to the right place. I'm guessing something in the VE logic is not kicking in? On desktop I see the same problem but it says "Your skin is incompatible with VisualEditor. 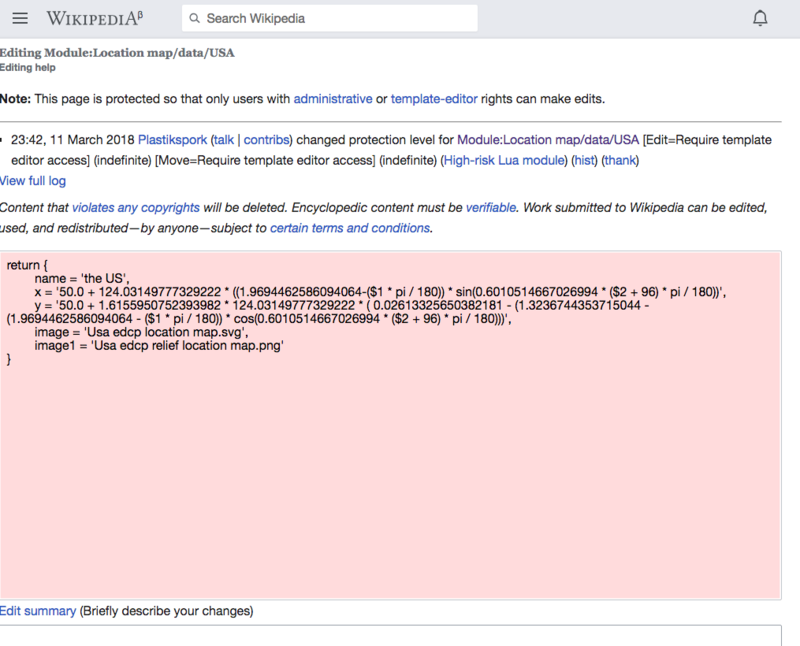 See https://www.mediawiki.org/wiki/VisualEditor/Skin_requirements for the requirements." This warning does not show up on mobile. Could we load this code on mobile too and instead of printing the warning automatically redirect to mobileeditorsuppress=1 ? Given the editor is accessible bumping down to normal, but it's not a great experience compared to how it was before, especially given this might hinder editing on a slow connection where the fallback editor is preferable. • Jdlrobson renamed this task from Regression: Editing workflow shows "The editor will now load" screen which doesn't reload for editing pages in template namespace on mobile to Regression: Editing workflow shows "The editor will now load" screen which doesn't reload for editing pages in template namespace on Minerva mobile and desktop. Sorry for all the spam. Actually this is a little worse than I first thought. • Jdlrobson added projects: Readers-Web-Backlog, Readers-Web-Kanbanana-Board-Old. It's not unbreak-now, I suppose, but it's unbreak-before-Tuesday, which is when this will start going out to production wikis. If we can't figure out a proper fix, we can always just revert the change easily. This may be a little unrelated, but I am very confused by the editor situation. It seems that we did not really think about the new cases that were introduced when Minerva and MobileFrontend was split. I feel like this is part of the reason for this bug. The mobile wikitext editor is always used on Minerva skin, in both mobile and desktop mode, even though the desktop editor is much more useful on desktop. Even weirder is that the mobile visual editor is only used on mobile. The desktop editor is always used on all other skins, even in mobile mode, even though it seems to me that the mobile editor would work fine with other skins, especially with single-column layouts like narrow Timeless. Maybe it wouldn't fit design-wise with MonoBook or something, but the code should work fine. Can we instead change this behavior, so that the mobile editor is used on mobile regardless of skin, and the desktop editor is used on desktop regardless of skin? This may be a little unrelated, but I am very confused by the editor situation. The mobile wikitext editor is always used on Minerva skin, in both mobile and desktop mode, even though the desktop editor is much more useful on desktop. I like this in principle but is likely going to require some skinStyles. and the desktop editor is used on desktop regardless of skin? I don't think there is any blockers to this and at least what I was imagining we were working towards. The problem from my POV is the definition of mobile mode. Historically, we tend to rely on the ResourceLoader targets system or skin when really we should be relying on screen resolution to determine that. It sounds like we all might benefit from syncing about what we want to achieve long term and understanding this code a bit more given there have been quite a few patches/regressions now - T185729 > T196150 > T196915 . Right now let's address the broken state. Personally I worry about more patches given the experience so far and would favour a revert and try again approach. I do agree with matmarex's suggested approach. The issue here seems to stem from a lack of clarity (on my part, on reviewer's part, on the code's part, etc) about exactly when things are providing a mobile experience. Wiping that clean and getting a simple rule for it would make sense. The issue here seems to stem from a lack of clarity (on my part, on reviewer's part, on the code's part, etc) about exactly when things are providing a mobile experience. Wiping that clean and getting a simple rule for it would make sense. 👍. Some browser tests in Minerva documenting how things should behave would probably also be a good idea. Note, the mobile grade C browser workflow is still broken (unusable) with all these changes so scoping to mobile may not be enough here. I don't know enough about the mobile editing redirect code to know what's going on there and how we might fix that. Given next train is monday and I'm off tomorrow what's the plan here? Revert them or add additional logic and commit to more vigorous testing? Yeah. Let's not leave this broken over the weekend. I personally will not have time to investigate before Tuesday and I assume y'all won't either. Thanks for dealing with the immediate problem @matmarex. I think we can resolve this task? 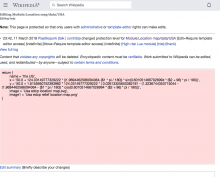 https://en.m.wikipedia.beta.wmflabs.org/wiki/Module:T173949 is editable again now so the bug as reported is fixed. Should we continue discussion on T197834 ? Happy to chat through the code/editor this week. Should we set something up? CommunityTechBot renamed this task from xjaaaaaaaa to Regression: Editing workflow broken for non-JS users and template editors on mobile. As a follow-up, I filed T198765: Move mobile editor code from Minerva skin to MobileFrontend, use it for all skins on mobile (and none on desktop), and I'd like to work on it soon if you have no objections. Are there any other ones? I'll try to document as I go along working on T198765, and I think we'll be okay if you just look over that as part of the code review.